Your Brain On Ice: Is Cryonics Crazy? Do you want to live forever? It’s not a trick question: a technology called cryonics claims to offer a way to cheat death — but does the idea hold water? 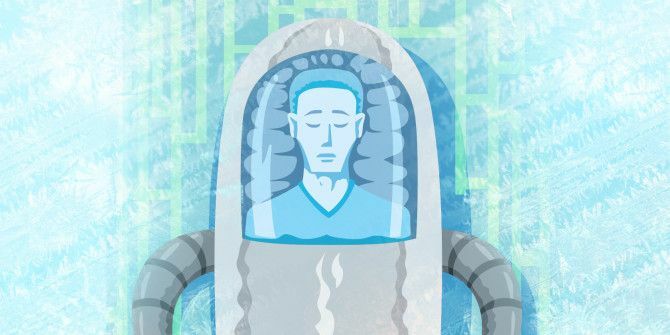 If you’ve heard about the idea of cryonics, you’ve probably heard about it through science fiction, like Futurama or in Star Trek films. Cryonics is a process of putting someone in suspended animation: making them so cold that they don’t experience the passage of time, so that they can be revived at a later date. What you may not know is that cryonics is something you can sign up for right now, and it’s surprisingly affordable. There’s a company called Alcor that has upwards of a thousand people either already preserved in liquid nitrogen, or signed up to be. The pitch is pretty simple: today, people die because modern medicine doesn’t have the technology to fix aging and other diseases. 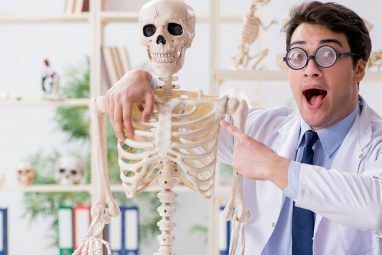 However, the medical establishment of the future might have the technology to fix pretty much any ailment — one day, people who are dead by modern standards might be considered patients with rosy outlooks in the future. As such, if scientists embalm the very recently dead at very low temperatures, they might be able to preserve enough information about the frozen brains to allow us to repair the damage to their bodies when humanity develops the necessary technology. That’s the basic idea of cryonics: when you run out of reasonable options for survival, hunker down at the bottom of a tank of liquid nitrogen to wait out the tyranny of twenty-first century medicine. It’s very Dylan Thomas. I wish it were possible… to invent a method of embalming drowned persons, in such a manner that they might be recalled to life at any period, however distant; for having a very ardent desire to see and observe the state of America a hundred years hence, I should prefer to an ordinary death, being immersed with a few friends in a cask of Madeira, until that time, then to be recalled to life by the solar warmth of my dear country! But… in all probability, we live in a century too little advanced, and too near the infancy of science, to see such an art brought in our time to its perfection. The ‘cask of wine’ approach to long-term preservation is no longer much in vogue, but the idea is still the same. There’s a big difference between ‘mostly dead’ and ‘all dead.’ Modern techniques rely on storing bodies (or just heads) inside tanks of liquid nitrogen indefinitely. Cryonics attracted some attention last year when a young college student named Kim Suozzi was diagnosed with terminal brain cancer, and made a post on Reddit begging for help. Kim wanted to be cryopreserved after her death, but couldn’t afford it. I wish I could give a particularly compelling reason why I deserve another chance at life, but there’s not much to say. I’m still just a kid, and hadn’t even finished college when I was diagnosed. Unfortunately the most interesting thing I have yet to do is get a terminal disease at a young age. It costs $80,000 to be preserved by Alcor (including the cost of bringing a team to your location), plus a $590 a year membership fee. Most members pay that fee via a life insurance policy. Alcor is a non-profit, but its services are on the expensive side. It might be tempting to write Alcor off as another scam or snake-oil peddler, and its customers as nuts who have read too much science fiction. The reality is somewhat more complicated. Is it actually possible to preserve the structure of recently dead brains? After all, what about freezer burn? If you freeze brain matter, the water in the cells will crystallize and expand, shredding the fine synaptic connections and cell membranes, and probably destroying the information that makes you who you are. That’s why modern cryopreservation companies don’t actually freeze brains: they use chemicals called ‘cryoprotectants‘ to prevent the water from crystalizing, turning it instead into a continuous glass material with no crystalization (this is called “vitrification”). These chemicals are the same ones found inside fish and frogs that are routinely frozen solid through the winter. So, how well does it work in mammals? Researchers employed by Twenty-First Century Medicine, Inc. have successfully vitrified a rabbit kidney and warmed it up alive. The researchers implanted the organ into a rabbit, where it continued to function as the rabbit’s sole kidney. Researchers at Alcor have vitrified dog brains and examined them under an SEM. The samples show minimal damage, given best case preservation — researchers have replicated the same results for rat brains. In the past, Serbian researchers have cooled whole rats to 0 degrees celcius, then warmed them up in a microwave and resuscitated them – repeating the experiment several times on a single rat without ill effects. Even in humans, a Swedish woman who was drowned in a frozen lake remained clinically dead at freezing temperatures for eighty minutes before being warmed and resuscitated to a full recovery. Unfortunately, it’s not all sunshine and roses. Even in the best case, some damage is still done to the preserved tissue due to thermal micro-shearing. Because of the rapid cooling needed, cracks can appear in the tissue (think of dropping an ice cube into a warm drink). The larger the organ, the more serious the cracking. As such, an organ like the brain will develop a number of fractures during preservation. These fractures represent a minimal loss of information (they’re probably smooth down to the molecular level), but the severed synapses and blood vessels would need to be reattached prior to reviving the patient. If you cryopreserved a living person with the best modern technology and then later thawed them out and attempted to resuscitate them, almost all of their cells would still be alive, but the fractures in their brains would cause massive strokes that would kill them immediately. This is the biggest barrier to reversible cryopreservation at the moment, and an area of active research. It may be possible to use modified cryprotectants, slower cooling, higher-temperature preservation, or some combination of the above to eliminate thermal fracturing, allowing humans to be frozen and unfrozen without serious harm. The other potential problem has to do with actually getting the cryoprotectants into the brain. During cryopreservation, a medical pump is used to remove the blood from the brain and replace it with a cryoprotectant fluid. Unfortunately, after only about six minutes of ischemia (no flow of oxygen), red blood cells in the brain (and many of the fine capillaries) begin to swell, causing clots throughout the brain. This is known as the “no-reflow” phenomenon, and makes it massively more difficult to get cryoprotectants into the white matter of the deep brain. There are a few solutions to this (including use of heparin, adrenaline, and cold temperatures to reduce swelling and improve blood flow), but cryonics still operates on a very short timescale. Despite the fact that physical degradation of neurons happens very slowly, after only an hour or so at room temperature, it becomes very, very difficult to preserve the structure of the deep brain. In other words, it’s likely that if you don’t have people waiting by your death bed to get to work as soon as you die, you’re guaranteed to lose a lot of brain tissue to ice crystal formation. This is another area that’s actively being researched, and major improvements may be possible in our lifetimes. Along with the quality of the preservation itself, cryonics patients are also gambling on the business side of things, which is, unfortunately, quite a bit shakier than the medical side. One of the earliest cryonics companies, the California Society for Cryonics, allowed nine bodies to thaw after the funds for their preservation were depleted by relatives. The controversy set cryonics back for decades. While that specific problem been resolved (funds for cryopreservation are now placed in trusts by the companies doing that preservation), it’s indicative of a deeper issue: the question of whether or not a company can survive long enough for the needed medical technology to fix people to mature. If it takes a century or two for the technology to get here, what are the odds that the companies responsible for keeping you vitrified (and, eventually, for bringing you back) will still be around? There is, of course, some risk of such a serious breakdown of technological civilization that it’s no longer possible to acquire liquid nitrogen or maintain the facility: probabilities like that are difficult to estimate, but likely not incredibly high. As for the companies themselves, of the initial crop of cryonics companies (the Cryonics Society of New York, the Cryonics Society of Michigan, tbe Cryonics Society of California, the American Cryonics Society, the Cryonics Institute, and Alcor), only half still exist (Alcor, ACS, and the Cryonics Institute). However, the other three failed fairly early on, while the three surviving organizations have existed since 1969 (ACS), 1972 (Alcor) and 1976 (CI) respectively. Existing almost half a century later may indicate that those organizations have a certain degree of staying power. The last and probably largest element of uncertainty in cryonics is whether or not it will ever be possible to repair the damage done by terminal illness or injury — not to mention the damage done by cryopreservation itself. There have been a few proposed solutions to how these problems might be overcome. The simplest option is to avoid dying until scientists refine cryonic methods enough that it is possible to reliably vitrify people, with good perfusion and without thermal fracturing, and then bring them back alive. Then, they can be preserved in the knowledge that the advancement of medical science need only progress enough to cure whatever was killing them. In the case of aging, current research gives cause for optimism. In the coming decades, science will probably discover ways to slow or stop the biological process of aging, and perhaps even to undo existing damage by replacing damaged body parts with lab-grown tissue. If that’s not an option (if, for example, you are Kim Suozzi and have already sustained vitrification damage), then you just have to hope that more exotic technologies are invented in the future. One option would be molecular nanotechnology. 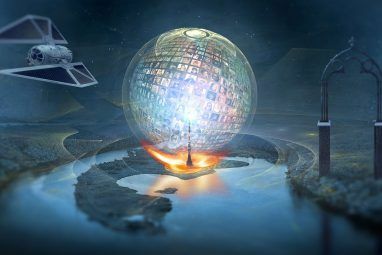 In the future it may be possible to use microscopic robots to reconnect tissue separated by thermal sheering, to destroy cancer cells, and even to repair aging damage to individual cells on a molecular level. Molecular nanotechnology, if it can be successfully developed, would provide almost total control over matter: more than enough to repair pretty much any illness that exists today. It’s difficult to guess how long this sort of nanotechnology will take to develop, although nano-medicine is already making major strides How Nanotechnology is Changing the Future of Medicine How Nanotechnology is Changing the Future of Medicine The potential for nanotechnology is unprecedented. True universal assemblers will usher in a profound shift in the human condition. Of course, there's still a long way to go. Read More . An alternative option is called “whole brain emulation.” Basically, rather than trying to salvage the damaged body, brain emulation aims to extract the information from the brain (and only the information) and reconstruct the original mind as a computer simulation, which can then be connected to a robot or a simulated environment. This would probably be done by using a very fine diamond blade to cut the vitrified brain into very thin slices. Future scientists could then image the slices with a scanning electron microscope, and possibly use immunostaining and light microscopy to pick up subtler chemical clues about the structure of each neuron. This data would be analyzed by a computer, which would repair cracks and fill in gaps with plausible guesses, and use the information to build a huge, simulated neural network that could reproduce the mind of the original person. This is probably simpler and easier than molecular nanotechnology: all you need is fast enough computers, decent microscopes (which already exist) and a deep enough understanding of how neurons work and interact. Right now, the project to map and emulate the first organism Giovanni Idili of OpenWorm: Brains, Worms, and Artificial Intelligence Giovanni Idili of OpenWorm: Brains, Worms, and Artificial Intelligence Simulating a human brain is a ways off, but an open-source project is taking vital first steps, by simulating the neurology and physiology of one of the simplest animals known to science. Read More (a nematode worm) is only just starting to achieve success, so there’s a long way to go – but maybe not more than, say, a century or so. After looking at the evidence carefully, is cryonics a reasonable way to blow $80,000 worth of life insurance? Well, that depends on how you estimate some hard-to-guess probabilities. 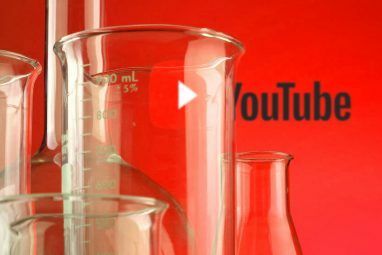 How fast do you think the growth of medical technology will occur? How far will it get? How long into the future do you think non-profits like cryonics companies are likely to last? Do you think you’re going to die of a predictable disease that will give you enough time to make deathbed arrangements? These are all independent factors, any of which could make the whole exercise pointless if you think the odds are really low. However, if you’re optimistic (even a little bit) about all of these factors, then you may be in a position where you could get a chance to wake up someday and see what the future is like. One percent? Ten percent? It’s hard to judge the odds, but the value proposition of that $80,000 starts to look a lot more reasonable in that light. Other problems in public perception include associations with science fiction, or just plain old cultural Stockholm syndrome. People, when talking about cryonics, tend to say things like ‘you need death to give value to life.’ Personally, I suspect that if you went to a hypothetical world where nobody had ever died and suggested that they begin rounding up and killing old people to give life value, you’d be run out of town on a rail. Humanity is so beaten down by mortality that, like rats that have learned not to run from electric shocks, people don’t even move when they see a possible way out. It’s possible – likely, even – that cryonics won’t work. However, it is really hard to make the case that it can’t work, or even that the odds are particularly low. All of the plausible objections depend on broad uncertainties about the future. To me, cryonics doesn’t look all that crazy: people spend money on stupider things. So what do you think? Will you sign up? Think the whole thing is nuts? Let’s talk about it in the comments section. To sum it up, I'd give my life to live forever. There are too many experiences and creative possibilities to explore. No, I'd much rather even living the most meaningless life (though it's by itself that way) rather than vanishing forever. Thank you for researching and writing such an in-depth article on this. I've been researching it myself and having all the links and information laid out gave me a great jumping off point. Personally, I find the potential implications of this fascinating. I'm not sure I'm all in, but I'm definitely curious. Whole "living forever" concept, is probably appealing to many people, but there are some people who simple just want something else, or something simpler. Myself, if it is possible for me to not put my body in cryo, but rather just Brain and Stem, and place my mind for research onto any future studies or even more, when they learn to resuscitate a brain, and emulate the natural sense of vision and hearing, into a simulation, or a cam and speaker. I mostly just want to help people, I currently have chosen the path of a medical career, hopefully saving lives if I can, and if I have the choice, I choose to make people healthy I will take it, and the way I see this, it offers a joy of being able to continue this goal. I mostly hope for the best for this technology, if it does not work out, I will merely do my best to make as much peoples lives better if I can. This is a reasonably balanced article on cryonics. There really isn't much to say about it. Assuming decent neuro-preservation, I think cryonics could possibly work. There is much work being done to grow new organs and tissues for the body using 3-D printing, stem-cell regeneration, or some combination of the two. Its not much of a stretch to imaging scaling up these process to printing or regeneration whole new bodies for cryo-preserved brains, say, around 2080 or so. Whether existence in a state of cryopreservation can be called "living forever" is debatable. To me "living forever" implies experiencing every moment of infinity as a fully functioning sentient entity. While the normal reaction of most healthy human beings is "I don't want to die" especially when faced with death, I don't know if I would want to live forever, even if it were possible. Just imagine having a few millenia worth of memories. I would have to perform a litteral memory dump every few hundreds of years. Immortality brings us face to face with a bunch of problems. With everone living forever, what do we do about over-populating Earth? What happens to people who become tired of life, do we rescind anti-suicide laws? What about inheritance and succession? I would not want to undergo cryostasis in the near future because the current technology, inasmuch the cryonicists would like to believe otherwise, is very little removed from the "cask of wine." It would have been much safer to undergo brain surgery during Egypt's Middle Kingdom than to get frozen today. TL ; Read the crux . It ain't worth living forever , and especially spending a fortune on a thing that has , at least now low probability . People in the previous centuries thought that by now we would've begun driving cars in air , but it didn't happen . Similarly , time travel is a desire that has been presented thousands of years ago , but didn't happen till now . And apart from all of that , it surely interferes with many's religious morales . Most of the religions either say to bury the dead or elsewise . But really I think we should earn a lesson from "The Last Lecture" instead of arguing on immorality . P.S Andre , what is your personal opinion about this ? Will you be willing to cryopreserve yourself if you ever got enough money ?